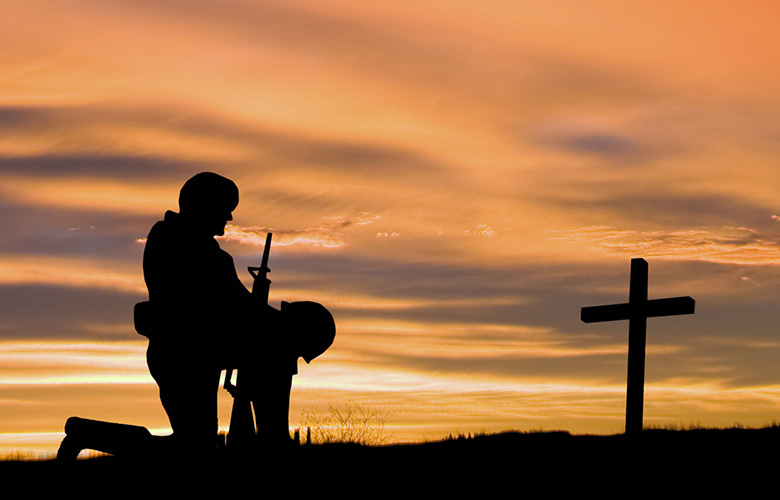 On Memorial Day we honor the soldiers who died for our freedom. They chose to serve our country and give so much, and this weekend we have an opportunity to do something for them and their families. We can reflect on what Memorial Day means. We can discuss the meaning with our children. We can observe the National Moment of Remembrance, established by Congress, which asks Americans, at 3 p.m., local time, to pause for 1 minute in an act of national unity. 3 p.m. was chosen because it is when most Americans are enjoying their freedoms on Memorial Day. Soldiers’ Angels Living Legends Team sends personalized sympathy cards when a soldier dies and each year on the anniversary of that death to ensure families that their loved ones are never forgotten. You can help them by writing letters or donating. Children of Fallen Soldiers Relief Fund provides college grants and financial assistance to surviving children and spouses of U.S. military service members who have lost their lives as a result of their service in the Iraq or Afghanistan wars. Children of Fallen Patriots Foundation provides college scholarships and educational counseling to military children who have lost a parent in the line of duty. David Kim setup this nonprofit in honor of Sergeant William Delaney Gibbs. Sergeant Gibbs was killed in action during Operation Just Cause in Panama, leaving behind a young wife and an unborn daughter. David Kim served with Sergeant Gibbs and was inspired by his sacrifice. TAPS – Tragedy Assistance Program for Survivors has grief counseling for families, programming for kids and camps where children can connect with others coping with similar feelings to establish a support system. In 1992, eight soldiers died in a C-12 creash in Alaska. The families found powerful comfort from each other and in 1994 founded TAPS to provide care to anyone grieving the death of someone who died while serving in the military. American Gold Star Mothers is an organization of mothers who have lost a son or daughter in the service of our country. American Gold Star Mothers provides a community of people who can support each other. They continue to honor their sons and daughters through service to veterans and patriotic events. American Gold Star Mothers was founded in 1928. Its name came from the custom of families of servicemen hanging a banner called a service flag in the windows of their homes. The service flag had a star for each family member in the Armed Forces. Living service members were represented by a blue star, and those who had lost their lives were represented by a gold star. Thank you to our soldiers and their families. If you appreciated this post, please consider clicking this link and liking my Facebook page. You’ll be helping support my upcoming book, 100 Reasons to Smile, and you won’t miss my next good news post (I tend to post monthly). Thank you!